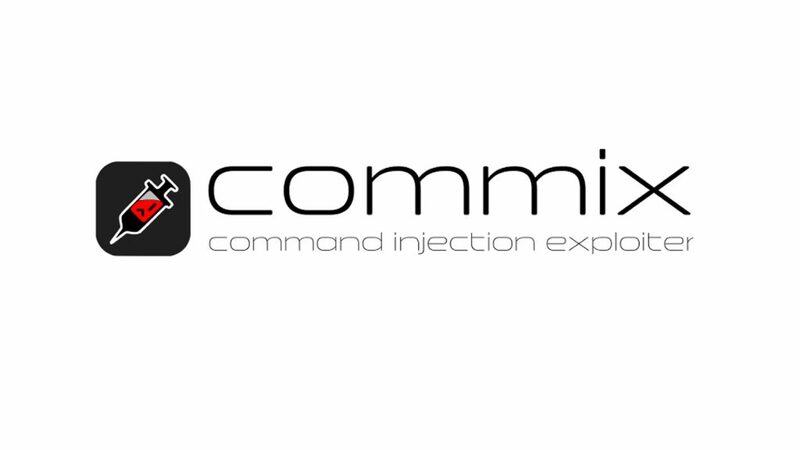 Commix (short for [comm]and [i]njection e[x]ploiter) is an automated tool that you can use to test web-based applications with the view to find bugs, errors or vulnerabilities related to command injection attacks. By using this tool, it is very easy to find and exploit a command injection vulnerability in a certain vulnerable parameter or HTTP header. Commix comes packaged on the official repositories of the following Linux distributions so you can use the package manager to install it! -h, --help            Show help and exit. -v VERBOSE          Verbosity level (0-4, Default: 0). --install           Install 'commix' to your system. --version           Show version number and exit. --update            Check for updates (apply if any) and exit. --output-dir=OUT..  Set custom output directory path. -s SESSION_FILE     Load session from a stored (.sqlite) file. --flush-session     Flush session files for current target. --ignore-session    Ignore results stored in session file. -t TRAFFIC_FILE     Log all HTTP traffic into a textual file. --batch             Never ask for user input, use the default behaviour. --charset=CHARSET   Force character encoding used for data retrieval. --check-internet    Check internet connection before assessing the target. -u URL, --url=URL   Target URL. --url-reload        Reload target URL after command execution. -l LOGFILE          Parse target from HTTP proxy log file. -m BULKFILE         Scan multiple targets given in a textual file. -r REQUESTFILE      Load HTTP request from a file. -x SITEMAP_URL      Parse target(s) from remote sitemap(.xml) file. -d DATA, --data=..  Data string to be sent through POST. --random-agent      Use a randomly selected HTTP User-Agent header. --param-del=PDEL    Set character for splitting parameter values. --cookie-del=CDEL   Set character for splitting cookie values. -H HEADER, --hea.. Extra header (e.g. 'X-Forwarded-For: 127.0.0.1'). --headers=HEADERS   Extra headers (e.g. 'Accept-Language: fr\nETag: 123'). --proxy=PROXY       Use a HTTP proxy (e.g. '127.0.0.1:8080'). --tor               Use the Tor network. --tor-port=TOR_P..  Set Tor proxy port (Default: 8118). --tor-check         Check to see if Tor is used properly. --auth-data=AUTH..  Login parameters and data. --auth-type=AUTH..  HTTP authentication type (e.g. 'Basic' or 'Digest'). --auth-cred=AUTH..  HTTP authentication credentials (e.g. 'admin:admin'). --ignore-401        Ignore HTTP error 401 (Unauthorized). --force-ssl         Force usage of SSL/HTTPS. --retries=RETRIES   Retries when the connection timeouts (Default: 3). --current-user      Retrieve current user name. --is-root           Check if the current user have root privileges. --is-admin          Check if the current user have admin privileges. --passwords         Retrieve system users password hashes. --privileges        Retrieve system users privileges. --ps-version        Retrieve PowerShell's version number. --file-read=FILE..  Read a file from the target host. --file-write=FIL..  Write to a file on the target host. --file-upload=FI..  Upload a file on the target host. --file-dest=FILE.. Host's absolute filepath to write and/or upload to. --icmp-exfil=IP_.. The 'ICMP exfiltration' injection module. --dns-server=DNS.. The 'DNS exfiltration' injection module. --shellshock        The 'shellshock' injection module. --skip=SKIP_PARA.. Skip testing for given parameter(s). --suffix=SUFFIX     Injection payload suffix string. --prefix=PREFIX     Injection payload prefix string. --technique=TECH    Specify injection technique(s) to use. --skip-technique.. Specify injection technique(s) to skip. --delay=DELAY       Seconds to delay between each HTTP request. --time-sec=TIMESEC  Seconds to delay the OS response (Default 1). --tmp-path=TMP_P..  Set the absolute path of web server's temp directory. --web-root=WEB_R..  Set the web server document root directory (e.g. --alter-shell=AL..  Use an alternative os-shell (e.g. 'Python'). --os-cmd=OS_CMD     Execute a single operating system command. --tamper=TAMPER     Use given script(s) for tampering injection data. --msf-path=MSF_P..  Set a local path where metasploit is installed. --level=LEVEL       Level of tests to perform (1-3, Default: 1). --skip-empty        Skip testing the parameter(s) with empty value(s). --dependencies      Check for third-party (non-core) dependencies. --purge-output      Safely remove all content from output directory. --skip-waf          Skip heuristic detection of WAF/IPS/IDS protection. --mobile            Imitate smartphone through HTTP User-Agent header. --offline           Work in offline mode. --wizard            Simple wizard interface for beginner users. --disable-coloring  Disable console output coloring.